Due to monitor differences, the colours on these examples may vary somewhat from actual garments, and should be used as a guide only. 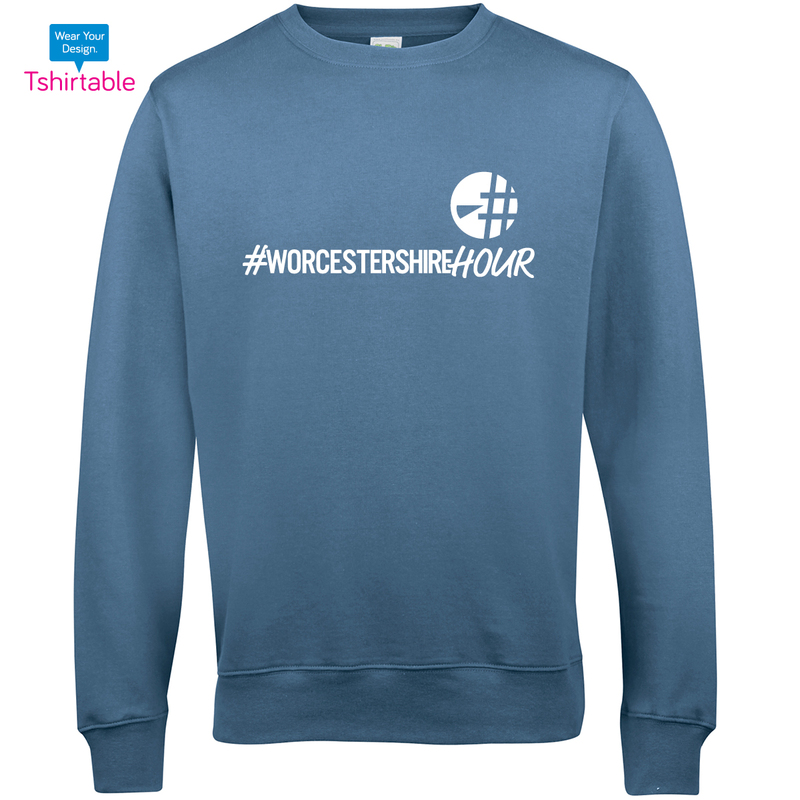 All profit from each sale will go to the #WorcestershireHour Social Enterprise fund. 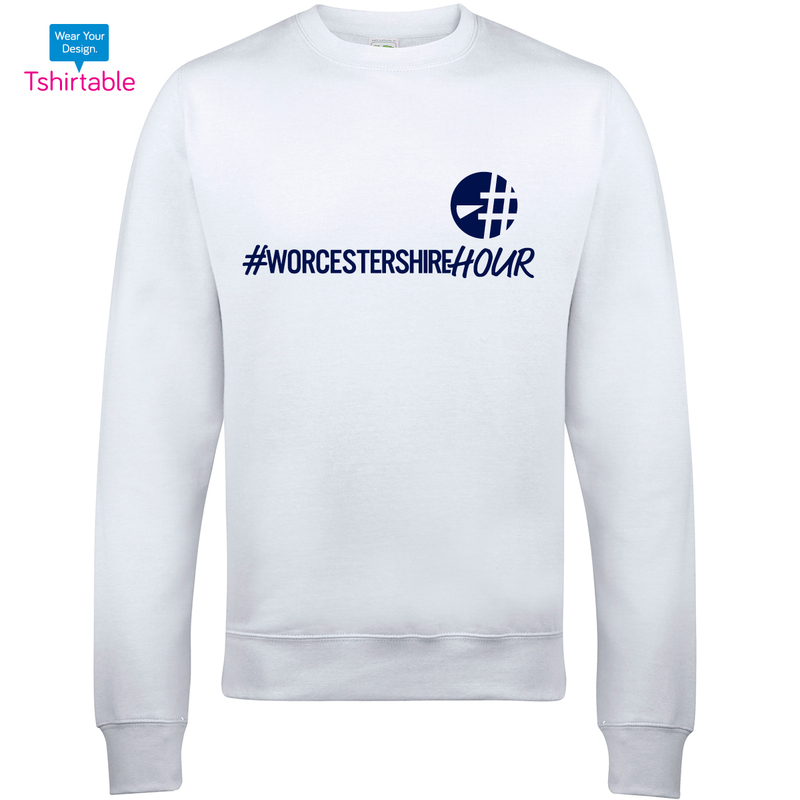 #WorcestershireHour and the WorcestershireHour logo are both Trademark protected. Launched on 6th May 2013 the #WorcestershireHour hashtag now lands in 5-6 million unique Twitter account timelines per month and has a Twitter following of over 20,000 local accounts. 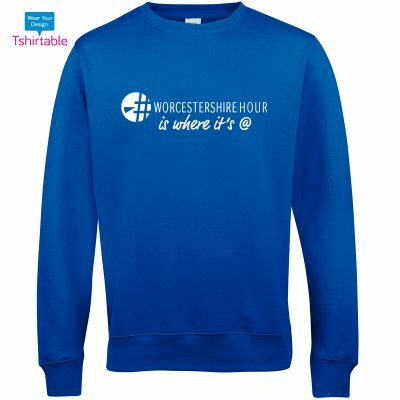 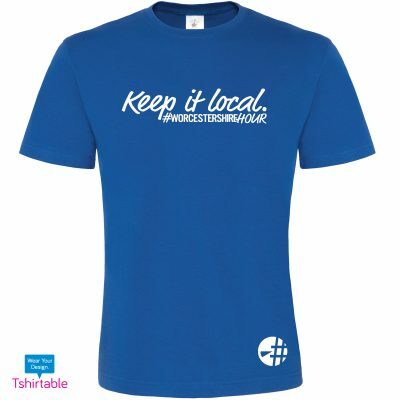 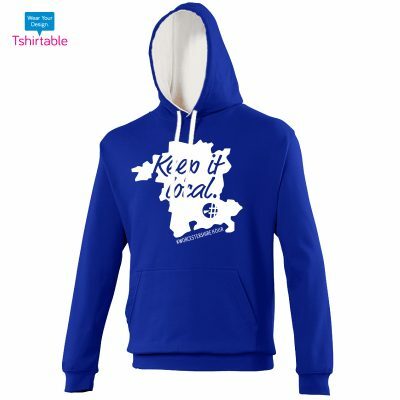 This gives #WorcestershireHour one of the largest 'audiences' in Worcestershire and our aim is to Keep It Local, encouraging local trade to boost our economy thereby protecting and creating local employment. #WorcestershireHour can be used seven days a week but our twice weekly LIVE events bring hundreds of our local businesses, charities and communities together at the same time. #WorcestershireHour was founded by Stuart Allen who runs The Sales Performance Company Ltd. Stuart has been using Twitter to promote his own business for the past seven years and has in excess of 86,000 Twitter followers. Please contact Stuart Allen on 01905 384314 or stuart@worcestershirehour.co.uk for all queries regarding commercial sponsorship opportunities across #WorcestershireHour, Worcestershire Festival of Business and Worcestershire Social Media Awards.